So basically, every summon will add 3% of the target's max HP for every Djinn used; which means LVL 4 summons like Judgment will AUTOMATICALLY do 12% of it's victims HP in damage. Now, that obviously doesn't factor in resistance, but still; you can imagine how this utterly ruins most bosses. 2) All summons cost 10 PP or HP for every Djinn used. I'm not sure whether HP reduction or PP would be better balanced; but either way, it'll ensure that you can't just spam summons in every random battle without worrying about running out of health or PP. Turn 4: Ground and Granite, then Ramses summon. So what do you guys think? And how easy would this stuff be to put in? The common thing to do is to reduce HP% damage from 3% per djinn to 2% per djinn. I'm fond of doing a completely different approach, turning them into a 4 turn non-targetable AI ally (since, you know, that's more like what a summon should do), but it's not something that can be done via a hack. The thing is, that's still more than enough to obsolete attack psynergy completely. That's why I also included those other two ideas, along with the split boss HP idea. What would you propose for balancing Attack Psynergy against Summons? ...To be fair, attacking with a stick is more than enough to obsolete attack psynergy. Summons are the least of psynergy's problems while Unleashes rule the meta and no stat supports casting spells. True; I'll be thinking about that as well. In the meanwhile though, how easy would it be to implement the changes I mentioned? Hey there, welcome! Going to comment on a couple things before I get to my usual "let us know if you have any questions/etc." thing, lol. First off, minor correction on summon damage is that it's not tied to djinn at all. Every summon ability, Cruel Ruin included, has a modifier that gets tacked on; while this usually correlated with djinn count, it is actually entirely distinct! This means that you could make Thor add 5% while Meteor adds 20% for example. Second, cool ideas although maybe I should share my approach instead! I'm pretty similar to Role in that my main plan is to just go for a 2% damage modifier as a baseline and go from there depending on effect or ability priority, because djinn are already a pretty good cost for summons most of the time. Recovery also feels like it is balanced fairly well, at least better than unleashes, so what I would do if I were you would be to simply raise the djinn costs of all of the new GS2 summons rather than the djinn recovery rate. I feel like I would also keep Granite around but get rid of Flash and give enemies more opportunities to manipulate djinn or do other cool things, because there are many ways to power up enemies that don't involve nerfing the party so much. - HP/PP costs might honestly take the most work, but I don't see that being terribly hard either. I haven't looked into doing something like that so I can't say how it would really work. Let us know if you need any help with things! I'm a little busy with an AI overhaul and life so I might not be particularly helpful at times but I can try. Second, cool ideas although maybe I should share my approach instead! I'm pretty similar to Role in that my main plan is to just go for a 2% damage modifier as a baseline and go from there depending on effect or ability priority, because djinn are already a pretty good cost for summons most of the time. I can see how you came to that conclusion, considering that your characters become much more fragile with each Djinn used; however, I still don't think it's enough. There are three reasons for that. See how all my Djinn are spread out? It means I can recover them significantly faster after each random encounter. So if I had Ivan use Procne, and obliterated an entire enemy squad with it in Mogall Forest, I'd immediately get ALL my Jupiter Djinn back. The only way the game would be able to trigger a fight before all my Djinn recovered would be if I literally ran around in a bunch of trees on the world map. Even were I to use TWO LVL 4 Summons per battle, I could still reliably get them back before almost any encounter; and there are enough options for boosting my Agility that I could almost certainly summon rush almost anything to death. EDIT: Unless... . What if Djinn recovery STARTED at one turn, but then took an extra turn for every time it was used in the same fight? It would be strong enough that you could still pull off instant combos, but also be enough of a nerf that you couldn't just spam the Flash + Granite/Ground combo in the same fight! Thirdly, I wouldn't even need to put all my Djinn on Standby. I could, for example, give both Mia and Ivan Wish by changing them into Sage classes, then have the bulkier Garet and Isaac summon rush while Mia and Ivan keep them alive. So even with the constraints already in place, there's still quite a few ways to abuse summons. Recovery also feels like it is balanced fairly well, at least better than unleashes, so what I would do if I were you would be to simply raise the djinn costs of all of the new GS2 summons rather than the djinn recovery rate. Unleashes would definitely be worth looking into; though I haven't actually experimented with a lot of them. That's one area I would definitely need help in in order to make a good decision. The SUMMONS though...I actually thought a lot of the GS2 summons were fine (or would be, with the limitations I'm thinking of). Eclipse, Iris, and the like ARE really strong, true...but they, IMO, are expensive enough in Djinn that I felt like I always had to put in a lot of planning and thought into how I used them. Whereas with Judgment, Boreas, Thor and Meteor, it's as simple as just spreading out four Djinn amongst all four party members. That's also something else I considered...hmm. I guess what I'm curious to see is if I could make Flash balanced. If it's simply too dang strong for me to do that, then yeah; I'll remove it. I'm curious to see what my changes would do though. Ick...yeah, the PP recovery is fine! I don't want THAT changed ! In fact, if PP costs and the like were implemented, that probably WOULD be enough. I will keep this in mind. It's very likely I'll have to do that. Sure! I guess my first question would be, are there any already established programs to help make changes like this ? You can spread them out, but that also limits your ability to enter higher classes and gain better stat modifiers. It's an option that I feel is less worthwhile than just using Avoid and running around for a minute, especially when unleashes are already so good by default. Doing something like doubling costs or taking Caledor's approach would honestly be a better way of handling it (I think in his case he made it so any summons that use 3+ djinn can't be used right away in battle). Are you familiar with assembly hacking at all? What you fail to understand is that the djinn system would cease to be fun with the nerfs you're proposing. Djinn and summons were designed to work in a cadence, where the player expends an ammo-based system to steadily weaken themselves, with the promise of being able to pull off a strong attack later in the battle and recover their spent resources. After a certain point, it reaches an equilibrium where the player is getting back djinn at the same rate they're spending them. That is how this system was designed. If you make djinn take longer in recovery, this cadence is lost; the player is made weaker and weaker with no equilibrium in sight, until they finally run completely dry. Djinn would lose their intended use, and just become a watered down mechanic to fix a non-existent problem. Did I say non-existent? Yes, I mean it. The loop you mentioned is end-game only. In GS1, you only have Flash available for the final battle. The designers knew it was broken. It exists so that players who are underleveled (or bad at the game) can still beat it. Remember that games are meant to be beaten, so it's okay for this kind of thing to exist sometimes. Can you use it to trivialize the Fusion Dragon? Yes. Does it make the battle take forever because you're doing practically no damage with this strat? Also yes. Is it fun? Not after the first 20 times you do it. There are sustainable ways to take down the Fusion Dragon that don't involve stalling out the battle. Players will naturally gravitate toward using the most damaging method available to them that can consistently win, and if they're underleveled to the point of having to rely on Flash+Granite spam, it's probably a good thing the option is there for them. ...you get the idea. There's a few other variants, and it requires a very deliberate turn order to make the second turn work, but if your lull user is faster than the boss, you get to completely skip its turn half the time, and receive 10% damage the other half. In the absence of djinn interference moves (like djinn storm) or status (such as stun or instant death), it's effectively impossible to lose. Except... it turns out that Dullahan, Doom Dragon, Valukar, and even the Flame Dragons all have djinn interference attacks! Only Sentinel and Star Magician lack any form of djinn interference, both of which will take excruciatingly long to kill using this strat. Naturally, this is boring as hell and requires intricate setup ahead of time, so most players don't do it. And why would they? They could summon rush instead and KO even Dullahan in 3-4 turns. There is no fight in the game that is difficult enough to warrant such a strategy, with the most difficult fights even having something specifically to dissuade it, so players will instead trend toward using a setup that inflicts more damage. As for the other "problem" you mentioned, of players spamming summons in normal battles: This isn't a problem in and of itself, but rather a symptom of a different problem. Players use summons on normal battles not because it's "broken," but because they're lazy. They don't actually want to fight battles, so they use the quickest, most efficient, and most consistent method available to them so they don't have to. That last one is important. Fleeing battles is actually faster than summon rushing them - if it succeeds. Fleeing often fails, however, so players get into the habit of fighting everything they come across, which means they have to resort to other means to clear it quickly. If flee consistently worked, players wouldn't feel the need to summon rush to clear encounters. Another thing to note is that this "broken" strat involves the monotony of going into the djinn menu after every single battle to set up for the next one. If the player is willing to go to such extents to circumvent the expected gameplay pattern, may as well let them. Even if you did double recovery time, players would just shift to using djinn unleashes to kill enemies and then set them back after battle, which is just as sustainable as summon rushing, albeit slightly more involved and may not one-round. As for your multiple health bar solution... this is effectively identical to simply reducing the percent HP modifier on summons. If you wanted to split a boss's health bar into two, it would be equivalent to halving the percent HP modifier. May as well cut to the chase and reduce the HP percent damage itself, rather than trying to do some fancy workaround for bosses. And finally, the HP/PP cost proposal: this is highly problematic. Keeping psynergy and summon resources distinct is important for preserving both of their usefulness. If summons cost PP, it would just crowd out psynergy, rather than meaningfully limit summons. And making it cost HP would just feel bad. The cost would either be so low that you wonder why it's there in the first place, or it would be so high that you'd frequently kill yourself when trying to use it in a boss fight. There's no middle ground. @Sala: I completely disagree with making multi-elemental summons more expensive. They're already weaker per djinni used than their mono-elemental counterparts. All of the multi-elementals of 6 cost or lower are pretty well balanced imo. It's only the 7+ djinn summons that are problematic, since they give a disproportionate amount of burst damage for summon rushing the bonus bosses. Essentially, these summons only exist to be abused by summon rushing, while the 6 and below summons are all plenty feasible for a conventional party to make use of. Even if they were made more expensive, it still wouldn't solve the issue of how much burst they can put out. I do agree with this point, at least. I'm thinking now, a better solution would be to just implement the "one turn recovery, then two turn recovery, then three turn recovery" thing I edited in to my last response. That way we can keep the "ammo-based system" you're referring to while keeping things from getting too crazy. After all; bullet casings are bound to suffer from wear and tear the more often they're re-used, right? Did I say non-existent? Yes, I mean it. The loop you mentioned is end-game only. In GS1, you only have Flash available for the final battle. The designers knew it was broken. It exists so that players who are underleveled (or bad at the game) can still beat it. Remember that games are meant to be beaten, so it's okay for this kind of thing to exist sometimes. Can you use it to trivialize the Fusion Dragon? Yes. Does it make the battle take forever because you're doing practically no damage with this strat? Also yes. Actually, it does about 120-150 Damage per hit even with Mars. Not great, but, enough to take him down after about...10 minutes or so. That's still a reasonable enough time to be a viable strat. I know you meant this as part of a reason why I SHOULDN'T go through with what I propose, but, this is exactly WHY the Summon system is problematic in how it's set up. There are absolutely no random encounters where Attack Psynergy is preferable to Summons; and very few situations where it's preferable against bosses. Summons do more damage, always hit every enemy, and don't cost you anything to use. Even the recovery times outside of battle are made moot by spreading your Djinn in the correct way. So basically, what I want is to create a situation where Attack Psynergy is sometimes the better strategic option for going through a long dungeon; and more consistently the better option against bosses (instead of just spamming Unleashes and Summons. Then it's as you say, there's no problem. It doesn't work on the toughest bosses and it requires a lot of forethought and planning. That's far more reasonable than the Flash + Granite/Ground, which is simple enough that even a child might stumble upon it. As for the other "problem" you mentioned, of players spamming summons in normal battles: This isn't a problem in and of itself, but rather a symptom of a different problem. Players use summons on normal battles not because it's "broken," but because they're lazy. They don't actually want to fight battles, so they use the quickest, most efficient, and most consistent method available to them so they don't have to. That's not laziness though; that's human nature. We live our whole lives juggling financial and personal costs, deciding which options give use the greatest reward for the least amount of cost. I do not think the player is to blame for coming to the conclusion that summons are more powerful, more reliable AND less costly to use in most situations. That last one is important. Fleeing battles is actually faster than summon rushing them - if it succeeds. Fleeing often fails, however, so players get into the habit of fighting everything they come across, which means they have to resort to other means to clear it quickly. If flee consistently worked, players wouldn't feel the need to summon rush to clear encounters. Another thing to note is that this "broken" strat involves the monotony of going into the djinn menu after every single battle to set up for the next one. If the player is willing to go to such extents to circumvent the expected gameplay pattern, may as well let them. But that's an intangible quality. The measure of "does this menu navigation take too much time for me" isn't something I can directly observe and measure like I can the question of "does Attack Psynergy cost PP and does Summoning cost PP?" 1) What if my AoE isn't able to hit everyone? Who should I target? 2) Do I NEED to use that Super Duper Shine Plasma to kill an enemy? Or is it low enough to where a simple physical would do? 3) Will I have enough PP before the boss? Even if you did double recovery time, players would just shift to using djinn unleashes to kill enemies and then set them back after battle, which is just as sustainable as summon rushing, albeit slightly more involved and may not one-round. You said it yourself, though. "[It's] slightly more involved and may not one-round". Besides, most Djinn unleashes are single-target attacks; and even Flash can't block status ailments or instant death attacks. The only thing is, I don't want it to be weaker against EVERYTHING. I'm fine with Judgment doing enough damage to OHKO entire groups of enemies (provided there's a tangible trade off for that). It's only against bosses that I think the damage numbers are too high. That's the problem with HP percentile damage. Bosses are hit more because they just have more HP. It's why I prefer to gut the system altogether and replace it. I mean, the alternative is that you basically make it "spells, but they're called summons instead for no reason" like what Final Fantasy does. @Sala: Hey, that 2% approach isn't my approach. XD I was letting them know about what y'all tend to do. That still breaks equilibrium, since after you exhaust each djinni once, you start running into longer cooldowns. For battles such as Star Magician or Doom Dragon that can inevitably become wars of attrition (even when played "normally"), this would be far too punishing, all for the sake of nerfing a fringe abuse case. It's especially punishing for mixed classes, since they may have djinn of a given element spread between 2 or 3 party members just by virtue of the classes requiring it. It's absolutely viable. It's just slow. If you wanted to nerf it, all you would have to do is give the Fusion Dragon access to status moves. Disabling a character for a turn can break the cycle and force the player into a recovery state. You might consider nerfing its damage output alongside this, since a change like that will up the difficulty even for a "normal" battle style. There are plenty of random encounters where attack psynergy is preferable to summons. When you're strong enough to the point that the attack command is enough to beat most foes, it's more optimal to set your djinn for the stats they provide, and then cover with an occasional AOE psy for the times when you face tankier enemies. Because of PP regen, this is just as sustainable as summon spam. At that point, the only measure of what is "more efficient" becomes how much time it takes, and in the cases where attack spam works, it takes less time. 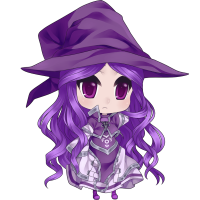 Also, while it's often overlooked due to the power of EPAs, mages are actually balanced around a shifting role depending on the type of fight they're in. Against mooks, they trend toward being a damaging aoe caster, while against bosses, they trend toward healing and distributing buffs. 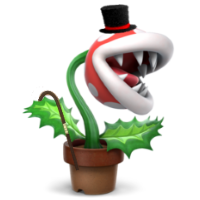 They can attack, but unlike fighters, which have one singular role in all battles (single-target dps), they trade some raw physical damage to perform these two other roles. Yes, it's human nature. Human nature is to trend toward what's easiest, i.e. laziness. I don't know how you got "blaming the player" out of that, though, because that's the exact opposite of the intention behind what I said. I was specifically saying that you can't blame players for taking the easy road, because it's human nature. What you can do, however, is incentivize them to make a different choice, one that's healthier gameplay-wise. No, the flee mechanic is a horrible mess and doesn't work at all. Feeling already comes with a built-in cost: you're forgoing exp, gold, and potential drops by fleeing the fight, either because you judged the fight to be too difficult or not worth your time. This makes fleeing a tactical choice, with clear consequences. By constantly fleeing from battles, players can end up underleveled, which is a satisfactory tradeoff for the time saved by not fighting. However, if fleeing can fail, then the player is heavily disincentivized from fleeing: if they end up taking just as much damage as they would have if they had just fought the battle normally, there's no longer a tradeoff there; it's just all downsides. As a result, players are conditioned to avoid fleeing, since after it fails once or twice, they end up taking heavy casualties; the risk is not at all worth the reward. The concept of "too much time" can be quantified. You can directly compare how long it takes to complete battles using one method to another; the one that takes less total time is superior. As an aside, I commend the players that figure out how to "break" a system. For how much we talk of how broken summons can be for normal battles, I think if you were to interview players about how they played GS on their first or even any subsequent playthrough, only a very small minority would say they did this. Most players wouldn't think of spreading their djinn to enable quick recovery; most players don't even know you can select a "red" summon, much less how the game decides which standby djinn to use. This is the kind of thing you only discover when you're interested in the underlying mechanics of the game and specifically try to get as much out of them as you can. These are power players that specifically look for how to push game mechanics to their limits, like you or I. But to the average player, they see a summon is available, they use it, and the game mechanics take it from there. You forget that summons also have a base damage. The base damage is what keeps them relevant against mooks, while the percentage damage is why they scale so hard against bosses. Judgment is 240 base power + 12% of the target's health. Against a 500 HP enemy, the HP% modifier only adds 60 damage. Against a 5000 HP enemy, the HP% modifier adds 600 damage. If you want to nerf summons against bosses but keep them roughly the same against mooks, it's as simple as adding a little more base damage while slashing the HP% modifier. @1 = Hmm... Not too much different from the 2% thing.... but er... yeah. @2 = Can't say... But I did think about the possibility of using the same damage algorithm on PCs as well as enemies. =P PCs get an advantage if they can self-heal when they want to. But Dullahan would probably have to be immune to its own Summons. @3 = Maybe not something I'd want... but ummm... okay. I am somewhat curious about making it so only one summon can be used per round of turns. (Max 1 on PC side, and max whatever(?) on the enemy side?) ; Which means you can only use Summons 1/4th as often. 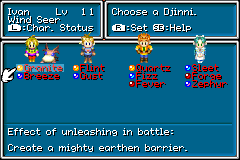 = Automatically makes it so it isn't entirely useful to Standby all djinn at once... and also makes it so you have to figure out which character gets the elemental bonuses from summon/etc. @Flee: So make it so that Flee is always successful? = Very easy modification, and would cut out a lot of code for the mostly simple calculation. 5000 + (2000*fleeFails) + (Relative Level * 500) >= Random(0,9999) , Oddly uses the “General” RNG. Relative Level = Get the average level of all the PCs and subtract the average level of the enemies. Seems to me like there's a lot of unnecessary digits in that calculation. Shouldn't that do effectively the same thing? I disagree with the idea of making fleeing 100% at all times, but when you're a certain number of levels above the enemy I don't see why you shouldn't be able to get away guaranteed. Heck, Suikoden implies that you're so strong you're letting the enemy go, as if you're the random encounter for them and they're trying to run. Makes sense to me. Perhaps tweak it so that if you're... say, 5 levels above the enemy as an example, the chance becomes 100%. Leaf: Oh yeah, good point about djinn costs! Role: I think they are high because the base RNG function used by the formula is high. That could be changed out, although if just changing the base formula then the higher numbers are necessary. Or at least I'm assuming based on the RNG being high and using the "general" RNG function for some reason. Page created in 0.368 seconds with 22 queries.